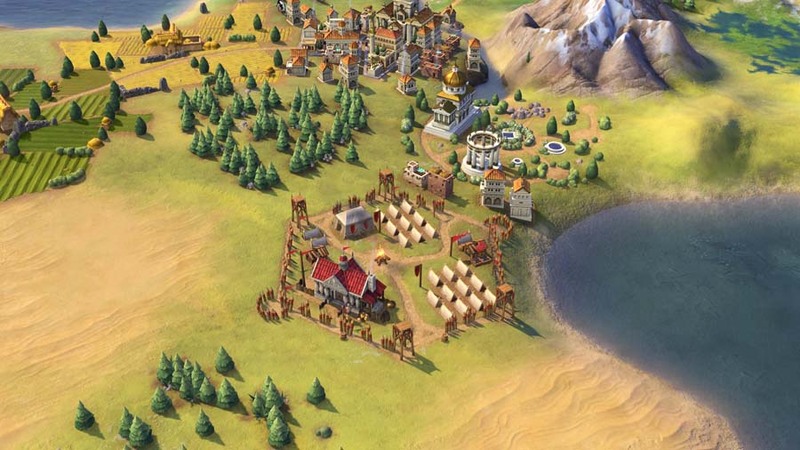 -Civ Unique Ability: The “Hellenistic Fusion” ability gives Macedon Tech or Civic Eurekas depending on what Districts are present in a captured city. -Leader Unique Ability: Alexander’s “To World’s End” ability lets Macedon stay at war longer by greatly reducing war weariness. He also gives Macedon the Hetairoi: a fast Heavy Cavalry unit that starts with a free promotion, which replaces the Horseman. -Unique Unit: The Hypaspist replaces the Swordsman, gets extra bonuses from supporting units, and is stronger at besieging Districts. -Unique Building: The Basilikoi Paides can be built in any Encampment that doesn’t have a stable. It provides bonuses for all melee, ranged land, and Hetairoi trained in the city. It also provides some science anytime a non-civilian unit is created in the city. -Civ Unique Ability: The “Satrapies” ability gives Persia a free Trade Route when they develop Political Philosophy, and enhanced yields from their internal trade routes. 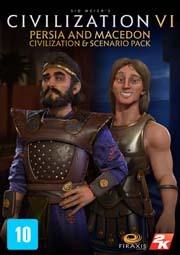 -Leader Unique Ability: Cyrus has the “Fall of Babylon” ability, giving movement and yield bonuses for a short time after declaring a Surprise War, and negating some of the diplomatic penalties of declaring a Surprise War too. -Unique Unit: Persia’s unique unit is the famous Immortal. This Swordsman replacement gets a bonus ranged attack, and is very strong on defense. -Unique Improvement: The Pairidaeza provide Culture, Gold, and Appeal, as well as bonus Culture or Gold for adjacent Districts and City Centers. Over time, they’ll provide even more yields as you advance through the tech & civic tree. 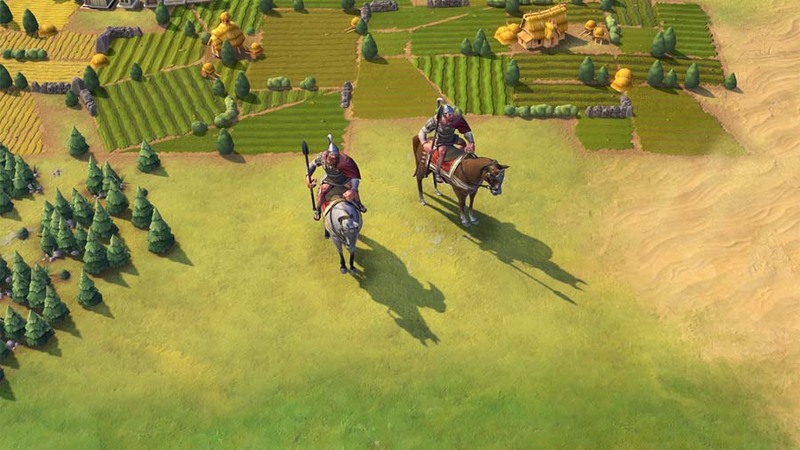 -Race against time to prove yourself as great a conqueror as Alexander the Great! 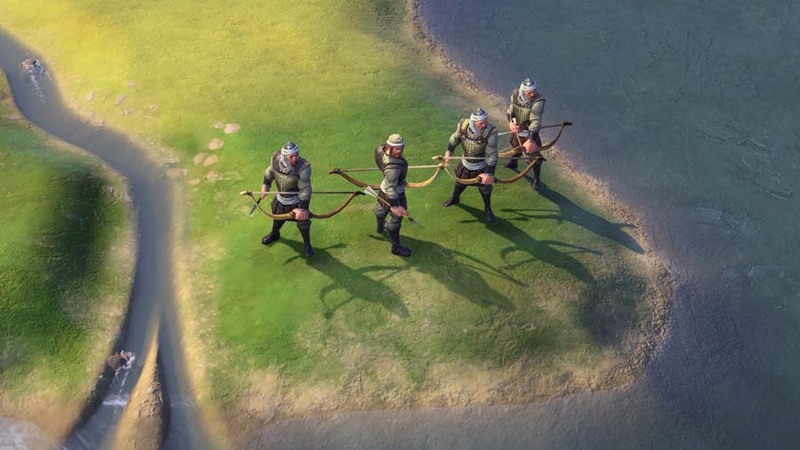 This scenario is focused on combat, expansion, and the calculated use of your Great Generals. 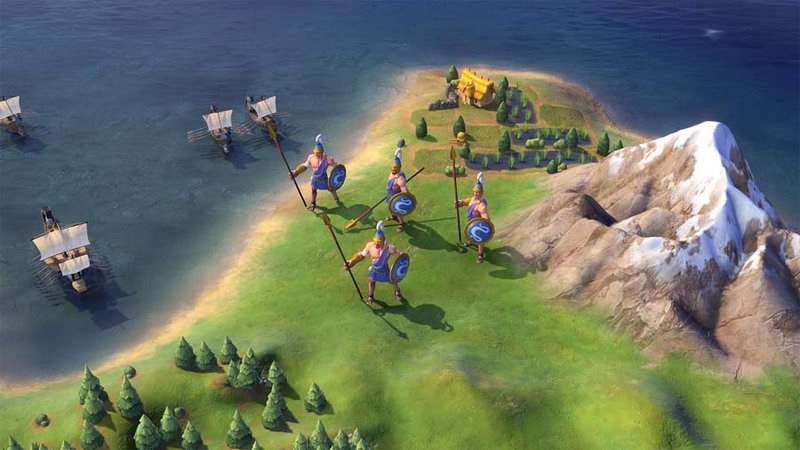 -As you increase the difficulty, you have fewer and fewer turns in which to conquer the known world, providing a real challenge for military strategists. -Mausoleum at Halicarnassus: One of the Seven Wonders of the Ancient World returns to Civilization. The Mausoleum allows you to get additional bonuses from your Great Admirals and Great Engineers. -Apadana: The Persians were famous for their audience halls, and the best example was found in Persepolis. 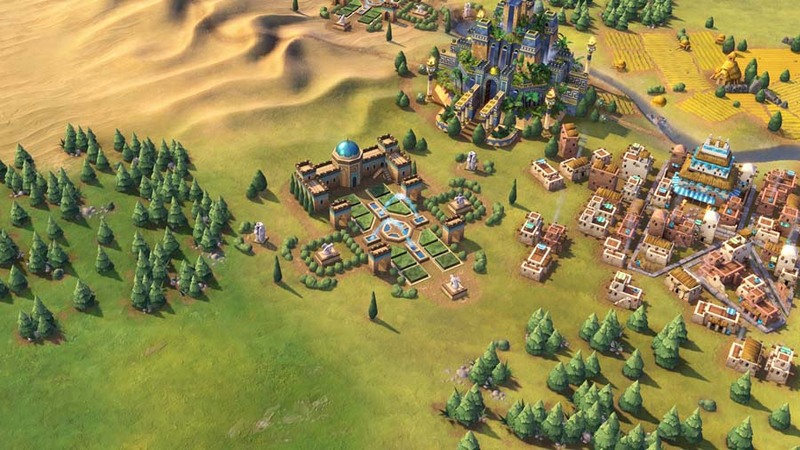 This Wonder provides extra Envoys every time you build a World Wonder – including the Apadana!